Jumby Bay Resort and Private Island. 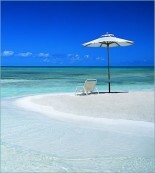 Book Jumby Bay Resort and Private Island. With 40 beautifully refurbished suites and 11 villas spread across nearly a With 40 beautifully refurbished suites and 11 villas spread across nearly a third of the island, guests feel deliciously ensconced in their own secluded hideaway. Each suite is an oasis of luxurious idleness embodying the island's stylish good taste. As well has the resorts own exclusive rooms and suites some of the island luxurious and individually designed villas and estates are also available for hire. Please see the side menu for further information. 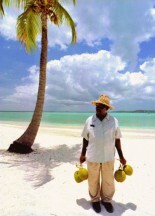 Jumby Bay is a private island located just five miles from Antigua in the British West Indies. Guests arrive to the V.C Bird International Airport located on the north east tip of Antigua. There are direct commercial flights from North America and Europe as well as connecting flights via San Juan, Barbados and St Martin. Upon arrival to Antigua a Jumby Bay representative escorts guests via a five minute taxi ride to a private launch for a 7 minute ride to the Jumby Bay resort. Private Island Resort, Jumby Bay, is located five miles from Antigua and offers guests a range of accommodation choices to meet all expectations and budgets. The 300 acre Private Island has an exclusive resort as well as some private homes and villas, which are available to rent with full access to the Jumby Bays extensive resort facilities. 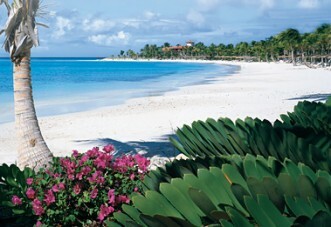 This five star private island oasis is only accessible by boat but is just a seven minutes by water from Antigua. It is the perfect place for those wishing to have complete privacy when it matters and full resort facilities close by should you wish to escape your private retreat. The Island is a naturalist paradise with three superb white sand beaches, beautifully landscaped tropical gardens with rare tropical flowers, stately palm trees and abundant foliage. The island is also home to the endangered Hawksbill Sea Turtle, the Blue Pelican and much other rare and exotic wildlife. The crystal clear sapphire waters surrounding the island will delight guests with excellent snorkeling opportunities and the resorts water-sports team are standing by to organize snorkeling trips, diving adventures or to set up one of the many water toys for your use. 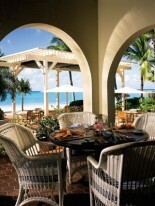 Jumby Bay offers exclusive accommodation for a range of different styles and budgets. There are ocean front rooms for two, one bedroom suites, two bedroom suites and private villas for families. There is also some very exclusive full scale estates located with in the resort. This island paradise truly has something for everyone. Most of the vacations are all inclusive and all guests have full access to all resort facilities. All accommodation types have a full maid service but some of the large estates also have a full team of permanent staff to service their guests including personal chef and butler service. For further information on the types of accommodation available on the private island of Jumby bay please see the side menu which details accommodation types as well as the private villas and estates of Jumby Bay. The temperature is a consistent and very tropical 81®F all year round. 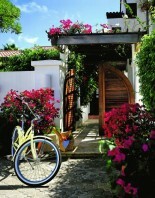 All villas come with a golf buggy but there are also bicycles available at the resort to explore the islands beautiful surrounds. The island also has a tennis court, three miles of hiking tracks, a putting green and 25 meter lap pool and a croquet lawn. The resort also has a fully equipped gym, water-sports team and several beautiful restaurants including one overlooking the Beach which serves fresh local ingredients daily. Each room has bicycles, twice daily house keeping services, 24 hour room service, terry robes, Italian linens, personal safe, luxurious toiletries, telephones, air-conditioning, a ceiling fans, hairdryers, stereo with CD player, mini-bar and a coffee maker. The rates include breakfast, lunch and dinner daily, unlimited open bar & imported house wine with all meals, afternoon tea, concierge services, use of tennis courts, non motorized water-sports, snorkeling gear and guided snorkeling tours, sunfloats and sunfish sail boats, sail-boarding, 25 metre lap pool, croquet court, putting green, use of fitness centre, use of resort bicycles, sunset cocktail cruise, nightly movies, daily NY times facsimile, evening turn down service and involvement in the Hawksbill turtle project. Other activities that can be arrange on request include: golf on Antigua, day sailing, deep-sea fishing, scuba diving and instruction, tennis instruction, Pilates, casino night on Antigua, sightseeing excursions to Antigua, laundry services, private beach dinners, in-room dining, day trips to nearby island and baby sitting and nanny services.